Among thousands of different brands out there, picking a suitable watch that meets your personal preferences and demands might be a daunting task. 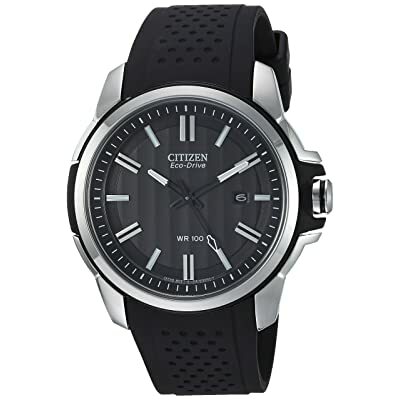 However, Citizen watches have never disappointed any of its customers who seek all inclusive watches with best features. What you are looking at is a list of the most prominent and all-inclusive watches from Citizens, which I have spent hours of reading through pages and summarized. 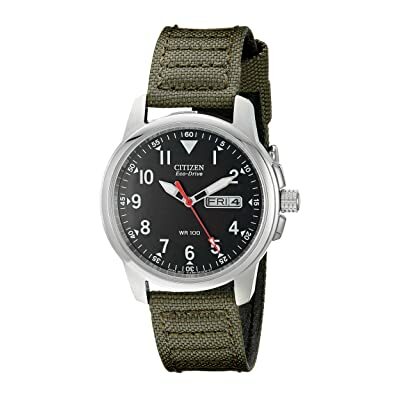 My list of top 6 best Citizen watches for men is precise and coherent, so you will find it easy to navigate through Citizen’s products and finally find one that would meet your demands and requirements. Very often, appearance could be deceitful, especially when it comes to watches. Many people have fell victim to the appealing look of a watch and later found out it could not work correctly. 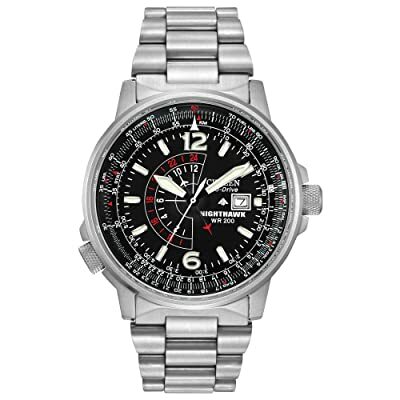 This isn’t the case with Citizen Men’s Eco-Drive Stainless Steel Watch BM8180-03E. This stainless steel watch delivers robust features and at the same time sits elegantly on your wrist. Military style heavily influences the watch with navy canvas trap. The stainless steel case with white plating and bright numerals against the dark setting will bring a renewed clearness to your wrist. The carefully stitched canvas trap makes sure to stick tight to your wrist and reduces the risk of loosening after sometimes. Additionally, the green canvas delivers a sporty and healthy look to its wearers. 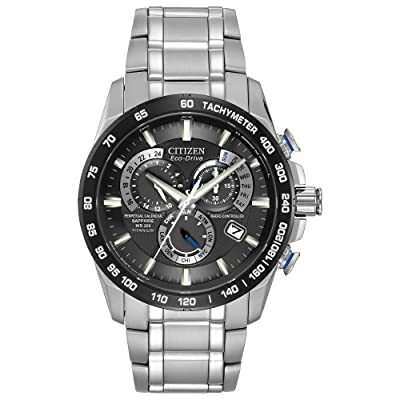 Citizen Men’s Eco-Drive Stainless Steel Watch BM8180-03E has risen to prominence due to its dynamic solar watch movement. Not long ago, watch owners had to pay a reasonable sum of money in order to possess a solar-movement technology watch. Things have changed since the market for affordable watches expanded. For an eco-drive from Citizen like this, you only have to pay from under $100, which could be a breakthrough in the watches world. The downside of this model is its dimension. With 37-mm diameter, it’s safe to say that it is quite small compared to modern’s standard. One more thing that is worth noting is the mineral crystal. You should not abuse it too much, since it doesn’t withstand to scratch like sapphire. My final verdict is if you want an affordable watch with a military look, this is the best option you have. If you are looking out for a particular thing that reminds you of the ocean, Citizen Promaster Driver BN0151-09L should be at the top of your list. The dark blue colour has vividly portrayed the aim of Citizen: a gift for ocean lovers. The white numerals against dark blue dial give people the feeling of robust diving sessions under the deep blue sea. This is a watch designed for divers. When you dive deep enough, you would appreciate the luminosity of BN0151-09L. This is a one-off feature that you could only find in this model. Thank the significant markers, the glowing feature is stronger than ever. The Stainless steel case is another highlight of the BN0151-09L. This sturdily designed case has enormous capability to resist water. The water resistance of this model alone is up to 200m, which is profound compared to its counterparts. Additionally, the BN0151-09L feature rotating bezel which is exclusively for divers. This bezel offers minute marking feature that helps drivers keep track of their dives. 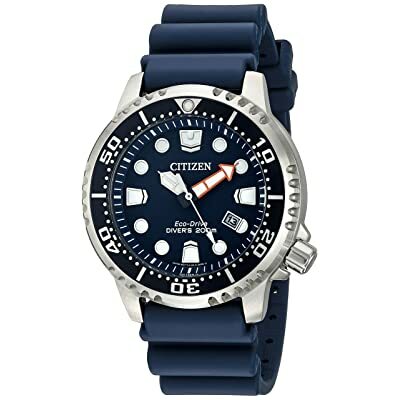 This model from Citizen is in compliance with ISO 6425, which means divers can use them underwater without any problems. The flashy oversized watch might not be a good choice for people who aim for a more fashionable look. Again, the mineral crystal is not a good choice of material since it is easy to be damaged. However, given its price and all the advantages, this should be a watch of value for many people. What makes AT4010-50E a well-known product of Citizen is probably the design. The material for case and bracelet is titanium, which is one of the most exceptional substances in the watchmaking world. The strength of titanium coupled with its lightweight highlight makes the watch way much lighter and can sit comfortably on your wrist. What’s more, titanium is famous for its capacity to cope with salt water and corrosion, which is perfect to wear even if you close to water. The distinct functions of AT4010-50E often leave people in awe. The solar movement powered by Eco-Drive allows your watch to get energy from light regardless of the source. Furthermore, AT4010-50E is packed with a list of sought-after features, such as alarm, power reserve indicator, or chronograph. The disadvantages are quite trivial. The atomic timekeeping only works in maximum 5 time zones. You will have to manually set up the time if you are out of these timezones. The limitation for chronograph is 1 hour, which could be a real eyesore sometimes. This design is an excellent selection for those who love titanium design and a whole lot of useful functions. If you notice, you will see how cool the watch dial looks. The black dial from Nighthawk BJ7000-52E coupled with GMT function and slide rule enhances the elegant and sturdy look of the watch. The contrast created by the black dial against while markers are astonishing. The luminous capability of the hands and numerals on the clock is robust, which is why the name of this model refers to Nighthawk. The size of this model is just above average, which is suitable for users who have average sized wrists. More surprisingly, the BJ7000-52E has a high degree of water resistance up to 200 M. However this is not a proper watch for diving since the inner bezel is not screwed down. Thus it could be possible to get water ingress once you are in water. The watch is also phenomenal for its GMT hands and markers. GMT watches have gained popularity recently among watch users, even though in the past, only soldiers and pilots needed this kind of watch. GMT watches help you to compare different timezones. This feature is convenient if you have to fly frequently to different countries. Furthermore, the BJ7000-52E also offers two exciting features, which are general calculation and navigation calculation. These two features can be used in many circumstances, not only for flight calculations but also for all-purpose calculations. However, if you are not an expert on these features, you may find it complicated to master. The price could also be another point to reconsider if you don’t want to overspend for a watch. My final verdict is this watch should be a good choice for those who look for a multi-functional watch with the modern aviation design. 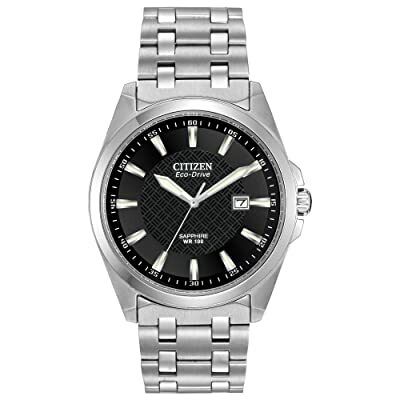 The design of Citizen BM7100-59E is quite business-look with silver-tone hands and markers against a black dial. The numerals are all equipped with luminous capability, which is perfect to tell night time. The case size of over 41 mm is suitable for people with an oversized wrist. The sapphire dial window is highly resistant to scratches, making the watch wearers look more professional and at the same time preventing the watch from scratches-free for long. 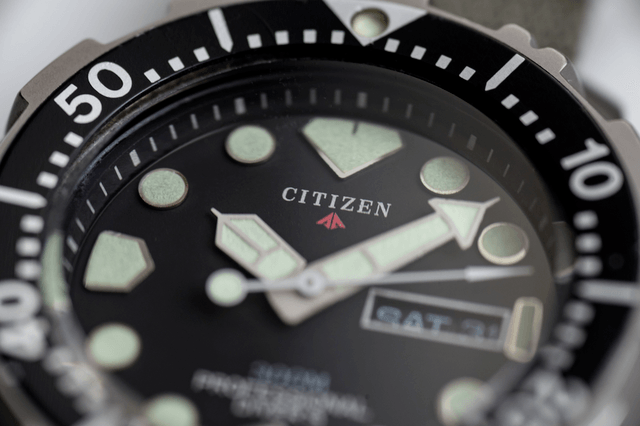 Citizen BM7100-59E is made down to the smallest details. The minute markers are carefully located at the intervals of every five minutes. The written numbers are directly above. Another minute markers are accounted for any counted minutes at the range. Though applying the silver-toned colour, BM7100-59E is reflection-resistant thanks to the sapphire dial window on top. This model comes with 100-m water resistance level, which means you can wear the watch while swimming or snorkelling around. This is a beautiful watch for daily uses. You can wear it in any formal events because of its elegant and classy design. For some people, the cons of this model are its lack of substantial and fancy functions. However, it isn’t that important to have so many functions if the appearance determines everything. With this model, Citizen shows its user the basic rule in fashion: simplicity is the most sophistication. Citizen has clearly made AW1150-07E for the young generation. Its youthful look plus the reasonable price is one of the reasons why this model is welcome all over the world. The most beautiful thing is you can mix-match the Citizen casual watch with many types of clothes. A high point of this model is the polyurethane band, which brings users more bang for the buck. First, the polyurethane band will make sure that it fits any wrists from large to small. Furthermore, if you don’t feel like wearing a polyurethane band, no worries. You can choose from other bands as you prefer, including leather, canvas, steel, or simply just another rubber band. Convenient, right? Besides, Citizen AW1150-07E uses the utmost sophisticated technology, which is called Chroma finish. This technology makes sure that multiple layers of coats cover the stainless steel case. This eventually leads to a shiny and flashy case. Since it is a casual watch, the functions and features are not really brilliant compared to other watches in the same series. However, given the price of over $100 for excellent design, this should be a good catch for those who aim at simplicity. Citizen, the famous pioneer in the watchmaking world, has survived through the lowest time of watches worldwide and have later built a solid ground for their prestige and recognition. 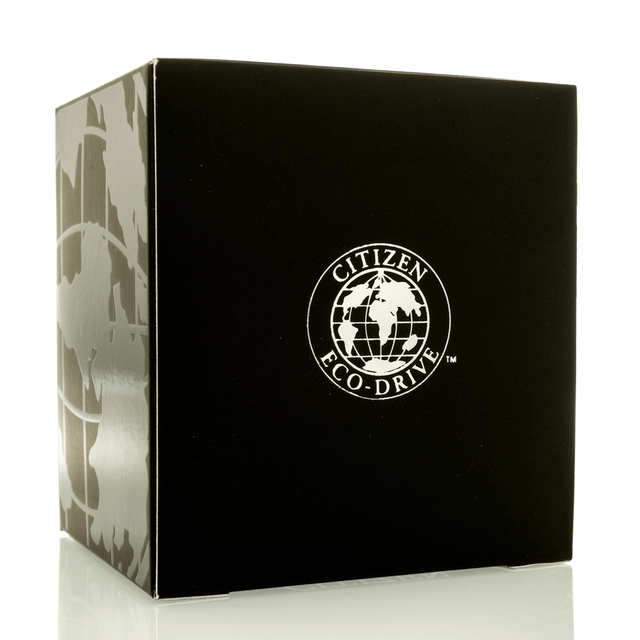 Recently, Citizen has got a lot of attention from watch lovers since the introduction of Eco-Drive series. Using solar cells which absorb light to convert into electricity regardless of the light sources, Citizen has shown the world one of its finest, most handy and eco-friendly products. 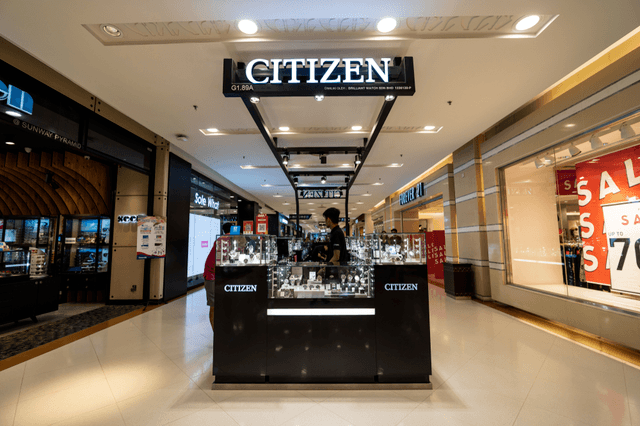 Citizen lives up to their motto “the fusion of beauty and technology” as they try to introduce new products that come with various designs and features. They also emphasise the importance of having a stylish yet convenient watch that can serve not only the time-recording function. Choosing a watch which matches your personal references could be challenging, especially when you have no idea which features the watch offers. The list of top 6 Citizen Watches will be a guideline for you to determine what kind of watch you would choose to wear and what types of functions you aim at. Additionally, it also provides the pros and cons of each product, which make your task less discouraging. My advice is to go through the list and read it carefully, make a list of what you would need and only after that purchase your favorite watch.